I enjoyed interviewing Dr. Ibrahim Jaffe, founder of the University of Spiritual Healing & Sufism, for my book, Sixty Seconds: One Moment Changes Everything. Here is an excerpt from his incredible story, which took place during his first year of residency at the University of Illinois Medical School. She continued to spiral downward until she reached a point where we knew she only had a few days left. Her vital signs were out of control. Her pulse, which should have been about 80, was 150. Her respirations, which should have been around 12, were up around 40 to 50. Her temperature was hypothermic, around 94 to 96. And her blood pressure, which normally should have been at 120/80, was down to 50 over zero, barely enough to sustain life. As she neared death, three Orthodox rabbis who had been regularly visiting her decided to consult with a head rabbi in Jerusalem. The head rabbi found a passage in the Talmud that said that the way to heal yellow hepatitis is to clean the feathers around a dove’s sexual orifice, and then place the dove over the belly button of the person with hepatitis. The passage said that if the dove dies, it means it’s absorbing the disease, and to continue to put doves over the belly button until they stop dying. At that point, the disease has been absorbed and the person may be healed. Knowledge is power. Well, kind of sort of. 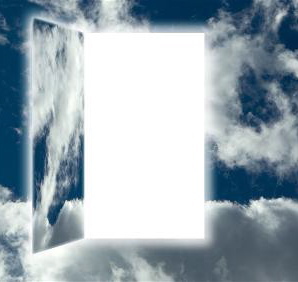 Knowledge opens the door to wisdom, which spiritualizes experiences, which is the gateway to enlightenment . . . and when you reconnect with the Source of all that is, you will finally know true power. That was the thought process I had upon reading this enchanting parable told by Hazrat Inayat Khan, a Sufi teacher from India. I hope you enjoy it! A young lad was sent to school. He began his lessons with the other children, and the first lesson the teacher set him was the straight line, the figure “one.” But whereas the others went on progressing, this child continued writing the same figure. After two or three days the teacher came up to him and said, “Have you finished your lesson?” He said, “No, I am still writing ‘one. '” He went on doing the same thing, and when at the end of the week the teacher asked him again he said, “I have not yet finished it.” The teacher thought he was an idiot and should be sent away, as he could not or did not want to learn.